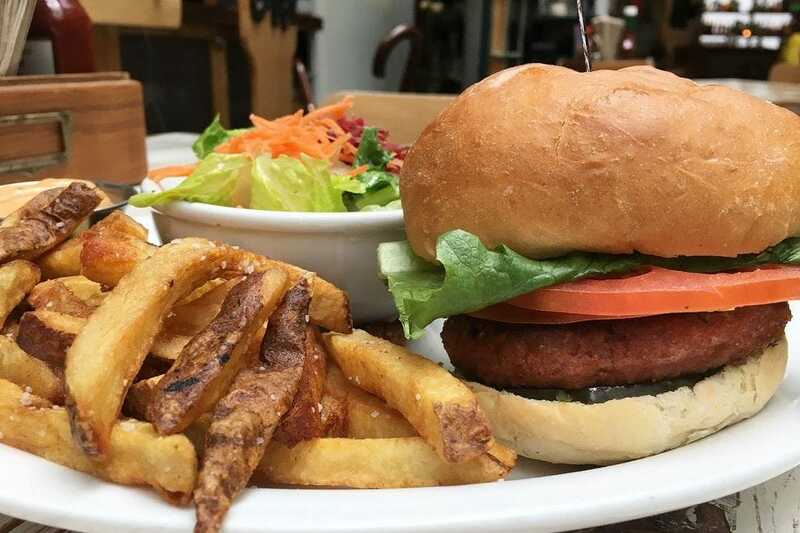 Being vegetarian or vegan in Vancouver has become much easier over the years as more restaurants are shifting their focus and turning to plant-based options. 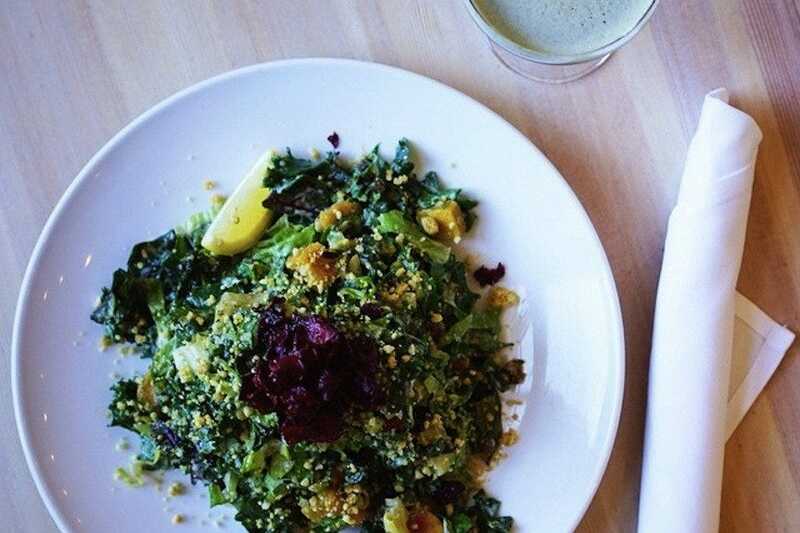 Whether you're in the mood to indulge, or to fuel your body with nourishment, these vegetarian restaurants in Vancouver will do the trick. CHAU VeggiExpress nails flavorful vegetarian Vietnamese food without a drop of fish sauce. Not an easy task! From warm comforting bowls of soup to fresh salad rolls and plates packed with bouncy noodles, your stomach's going to be oh-so-happy. This family-run business is a delightful, casual spot to grab a light and nourishing meal that will leave you feeling satisfied and mildly virtuous. 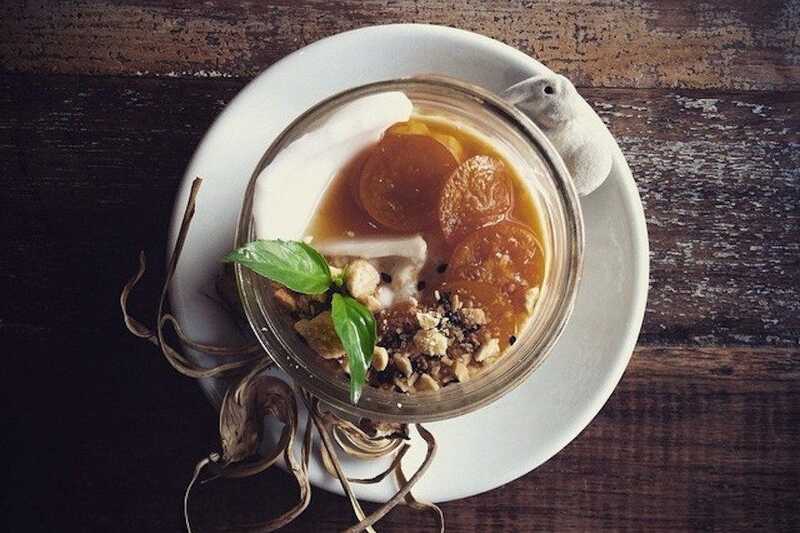 Over at The Acorn, vegetarian dishes are a feast for the eyes and your appetite. In fact, they’re almost too pretty to eat. With options for vegetarians, vegans and those who are gluten free, there’s much to choose from. Make sure to wash it all down with a cocktail from their well-curated list. For a greasy feast, head to MeeT in GASTOWN. 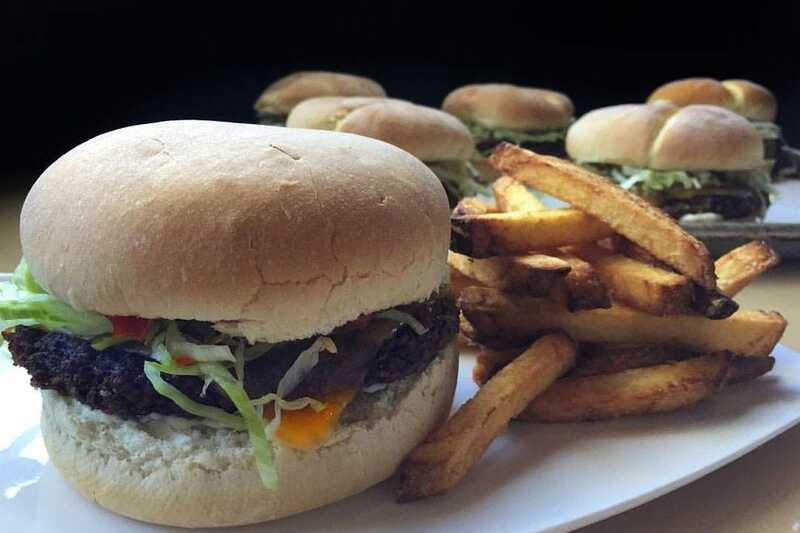 This vegan restaurant is known for their burgers and fries, but they also have some healthy options on the menu if you're not in the mood for the former. Whatever you order, be sure to save room for dessert. They don't mess around here. 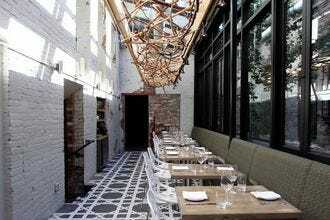 The atmosphere inside is anything but your typical Mexican-inspired restaurant. Instead, it evokes the retro furniture section in a thrift store. Although it's very charming, their reason for doing so is ethically sound and their devotion to the environment and the health of our bodies is dispersed from concept to menu. Local wines and beers mingle with organic and free-range ingredients to produce a socially responsible and healthy environment. 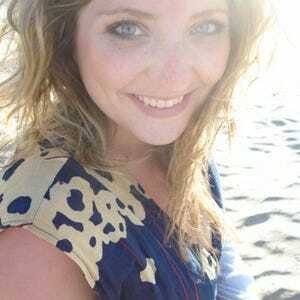 They're constantly looking at ways to give back to the community. The menu is vegetarian, but also favors vegan diets. With the use of nuts, tofu and beans, it's hard to miss the lack of meat. Filling enchiladas, cheesy nachos, lighter tacos and fresh margaritas will hit the spot, but one of the best things about Bandidas is that the prices are very reasonable. 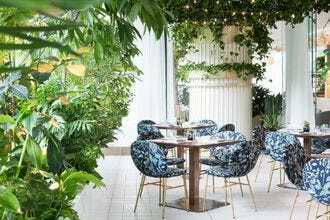 Open for breakfast, lunch, dinner and weekend brunch, Heirloom Vegetarian Restaurant serves up delicious vegetarian and vegan fare in a contemporary atmosphere. On the menu you'll find locally sourced and seasonal ingredients, giving guests a taste of the Lower Mainland's bounty. Start your day off with one of their creative and flavorful eggs benny or omelets. For dinner, choose from an array of appetizers, soup, salads, mains and desserts. 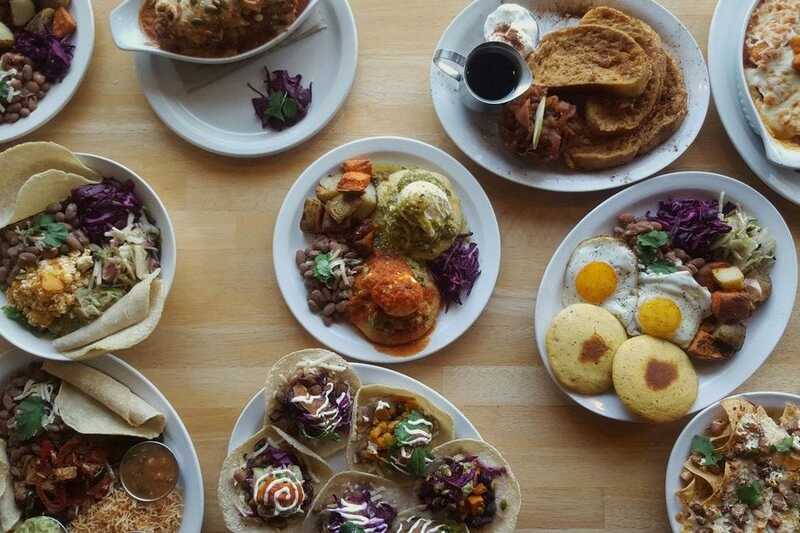 From tacos and burgers to skillets and curries, Heirloom's menu has your appetite covered. Located in the South Granville neighborhood, Heirloom is a short ride from downtown Vancouver and easily accessible by bus. This family-run business serves vegetarian and vegan Vietnamese food and is a local favorite and when it comes to taste, there's no shortage of delicious things to eat here. From fresh salad rolls to warm, comforting bowls of noodles and soup, the menu boasts plenty of healthful and satisfying options. You may think that cooking Vietnamese food without fish sauce may be a challenge (and for many it is), but owner, Maria, and her mother, Chau, have concocted an excellent substitute that doesn't substitute flavor. Each dish speaks for itself, but the reasonable prices and large portions certainly sweeten the deal. Speaking of sweet, make sure to save room for dessert - they're excellent here! The Acorn vegetarian restaurant has long been a local favorite and The Arbor (their sister restaurant) has built a reputation in its own right. It may have something to do with the Southern fried artichoke sandwich or the pulled jackfruit steam buns. This casual eatery can be found on Main Street and is open for lunch, dinner and late night snacks. Along with the aforementioned eats, you'll also find indulgences like their "fried oysters". Instead of the bi-valve version, they take local oyster mushrooms, deep fry them and serve them with a creamy dill sauce. They're great for sharing. There are a few flatbreads, handhelds like tacos (made with the battered mushrooms) and a burger made with their house-made 1/4lb patty. For something lighter, salads are on offer. When it comes to drinks, they've got the usual suspects and their own cocktails to wash it all down. 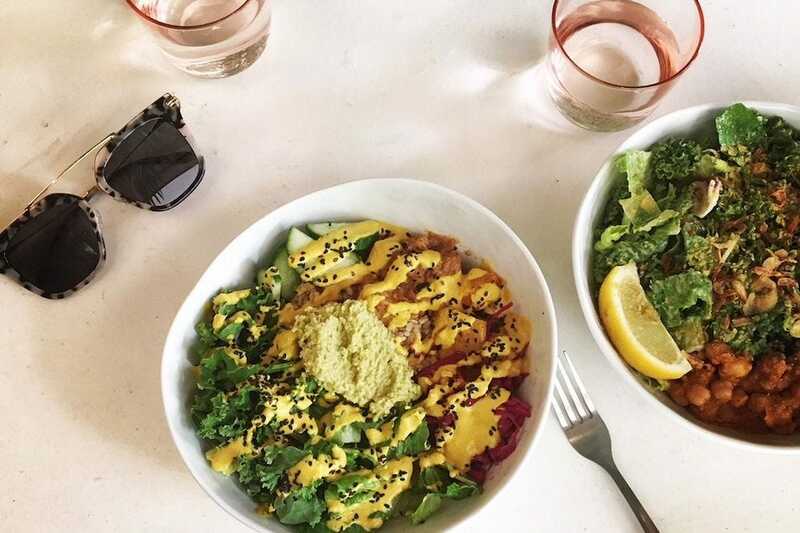 When it comes to cravings, MeeT in Gastown brings out the best of both worlds-comfort classics and healthy bowls. 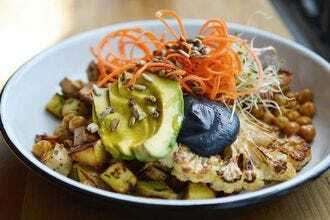 With a few locations around the city, this vegan restaurant is a local favorite. If you're feeling healthy, The Lovely bowl is heaving with ingredients that satisfy and nourish. It starts with a bed of brown rice and is topped with marinated tofu, wilted kale, roasted red pepper, broccoli, shredded carrot, toasted coconut bacon and almond satay sauce. Should that not be what you're in the mood for, check out their burgers. The Angry Burg is all kinds of delicious indulgence. They beer batter one of their burgers and toss it in a spicy buffalo sauce before stacking it onto a kaiser bun with guacamole, ranch dressing, lettuce and tomato. All burgers are served with fries and salad. They also have a bunch of appetizers, salads and poutines to choose from. Be sure to save room for dessert! On any given night, this plant-based pizza parlour is busy slinging pizza after pizza. 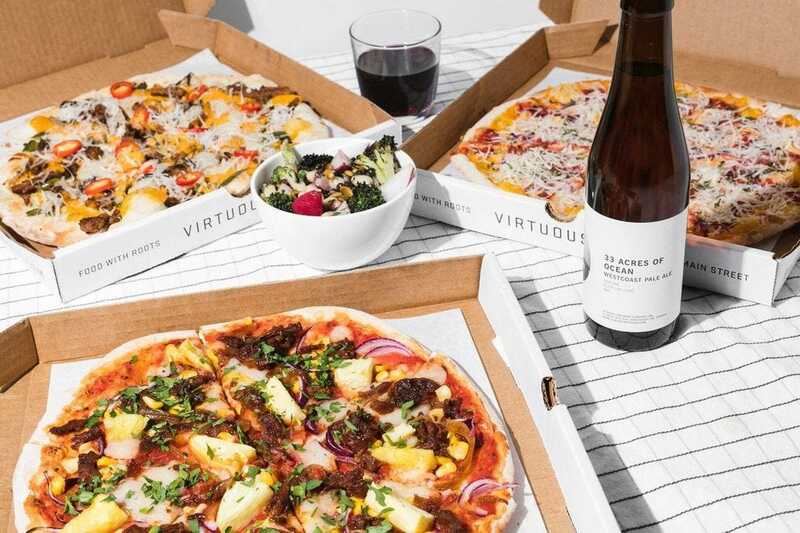 Virtuous Pie is a first for Vancouver because they use exclusive nut cheeses on their pizzas. When paired with quality ingredients and their three-day dough, you've got a winning recipe. While they have your standard margherita made with San Marzano tomatoes, cashew mozzarella, fresh basil and extra virgin olive oil, the menu has some pretty creative concoctions. The Stranger Wings is a popular order. Made with a bianca base, spicy buffalo cauliflower, crispy fried shallots, scallion and their blue cheese drizzle, it's not your typical pizza. The Ultraviolet is another tasty option that's topped with a walnut and arugula pesto, cashew mozzarella, oven dried tomatoes, flowering kale, pine nuts and caramelized onion. There are also salads and dairy-free ice creams to complete the experience. Take a trip down the Silk Road and walk into East is East for a tasty meal that will leave you full and satisfied, complimented by a calming serenity. 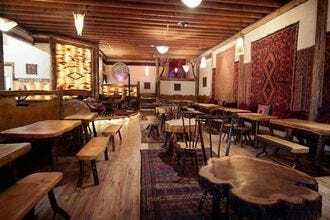 When you walk into the restaurant you're ears are treated to soothing music, dim lighting, rustic tables and chairs in a room that's adorned with plenty of pillows and beautifully crafted rugs. 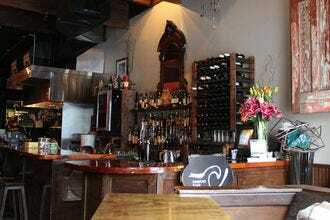 The menu has a vast array of vegetarian and meat options that will please differing palates. The peas and cheese (paneer, spices, potatoes and peas) is the ultimate comfort food! Wrap it up in a roti (they call it the Lion of the Desert) and order a bowl of their dahl and you're about to enter a blissful food coma. There's nothing dangerous about the Lion of the Desert, unless you consider the cravings you will have for it, long after you've left. 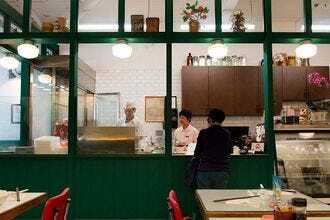 They're also known for the chai tea and give diners a sample to savor before eating their meal. They do not serve liquor, but their chai is a lovely alternative. Let these beautifully prepared vegetarian dishes be a feast for your eyes and a delight for your mouth. 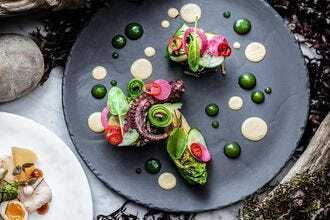 The Acorn restaurant takes vegetarian dishes and presents them in such a way that you feel like you're eating a piece of art. 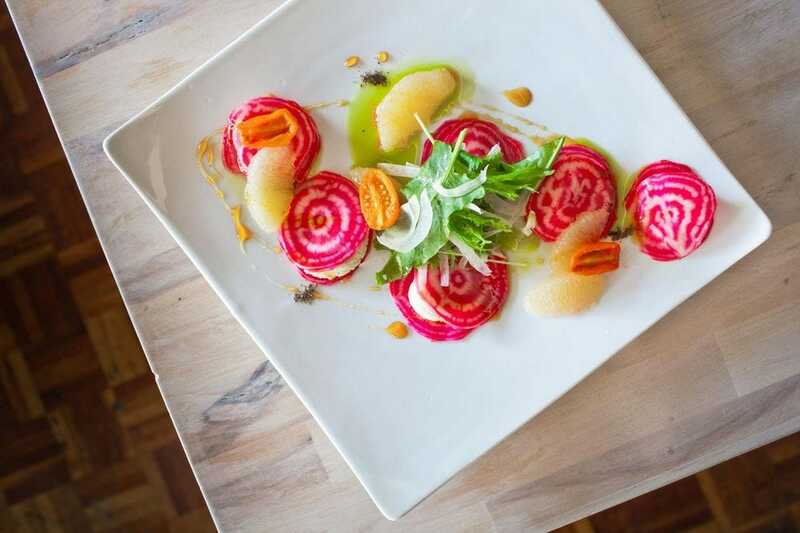 Perched on Main Street, The Acorn caters to vegetarians, vegans, raw and gluten free appetites, but carnivores won't feel as though they're missing out here. The atmosphere is just the right amount of warmth with good vibes, making it perfect for your next date night or casual dinner with the folks. The menu is seasonally driven so new dishes can be enjoyed throughout the year. 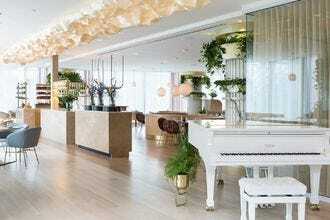 The signature cocktails at The Acorn are well thought out and shouldn't be missed. 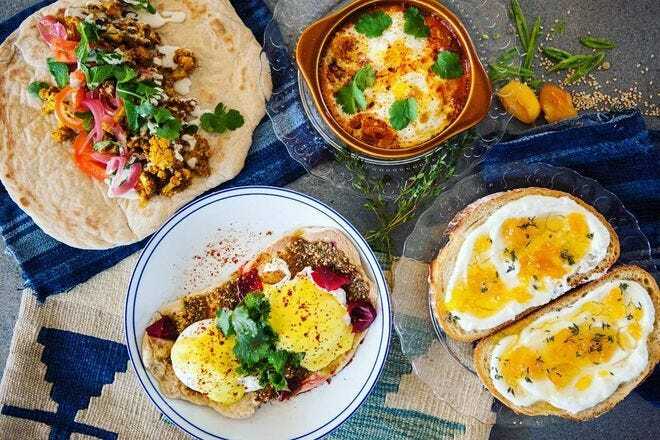 Owned by a husband-wife team, Aleph Middle Eastern Eatery is a true delight on many levels. At the helm of this charming spot is Palestinian born Lebanese chef (and owner) Haitham El Khatib and his wife Fiona, a Vancouverite. The space itself is fresh and simple, leaving plenty of room for the dishes to really shine. The cozy, open kitchen gives diners a glimpse of what's to come-the authentic saj bread oven from Lebanon is an eye-catcher. Made fresh and brushed with olive oil and zaatar, the saj bread is the perfect mix of chewy and soft with a few crispy blisters. The menu tempts with mezzes like the Silk Road (eggplant, labneh, hummus, zaatar and honey) that's perfect for dunking said saj. The fattoush salad offers a clean and crisp intermission before tucking into main plates like tomato kibbeh and turmeric cauliflower.